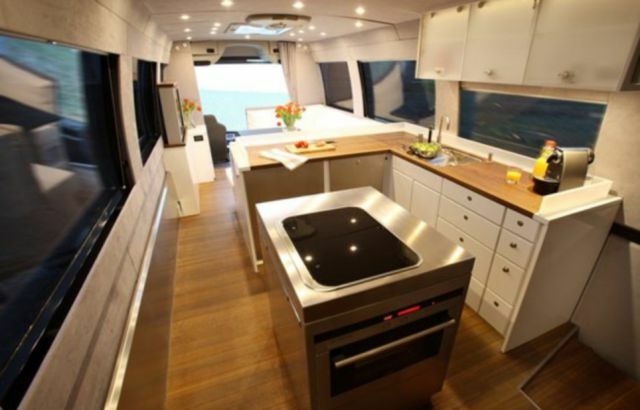 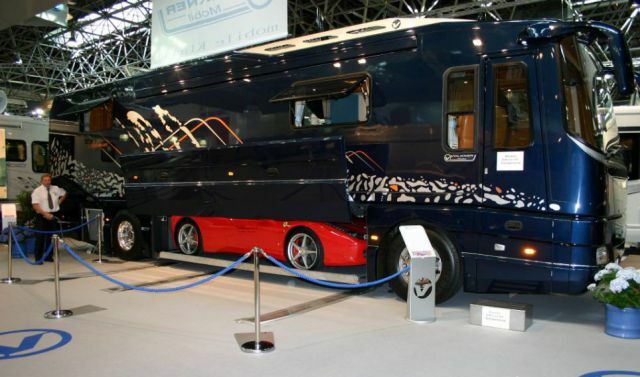 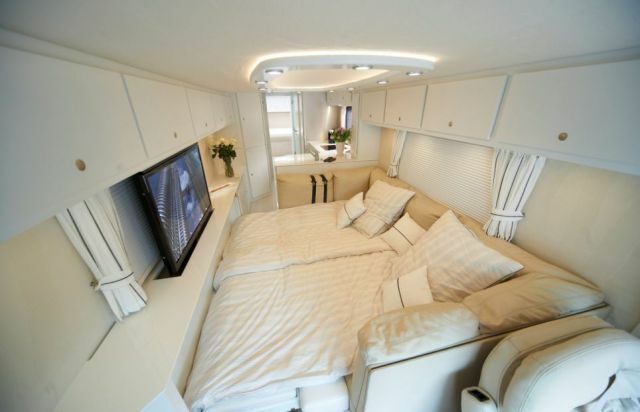 Volkner Mobil Performance Bus is an amazing 12 m (40 ft.) long motorhome which is a real palace on wheels. 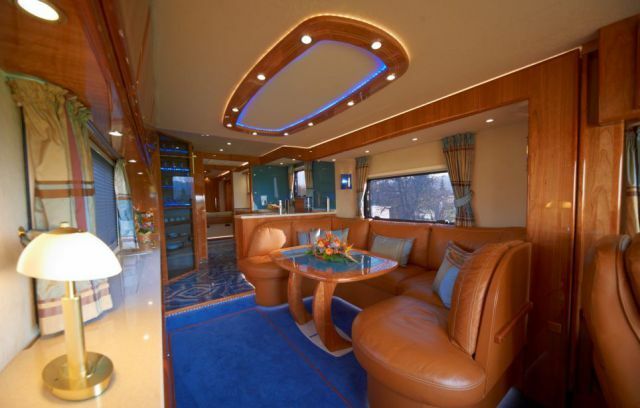 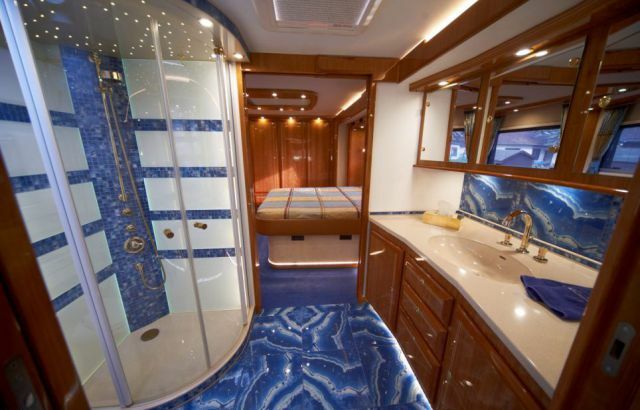 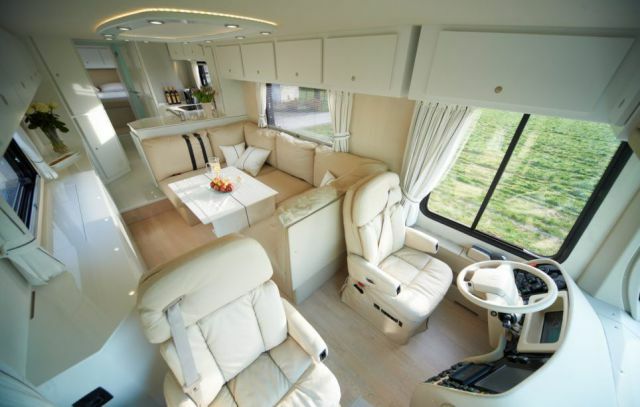 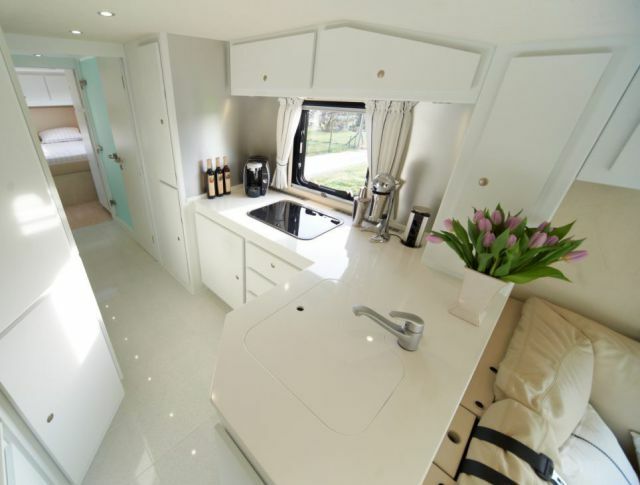 Its sumptuous interior features leather seats, stone tiles in the kitchen and the bathroom, wide-screen TV, Bose home entertainment system and even a hidden compartment for a sports car. 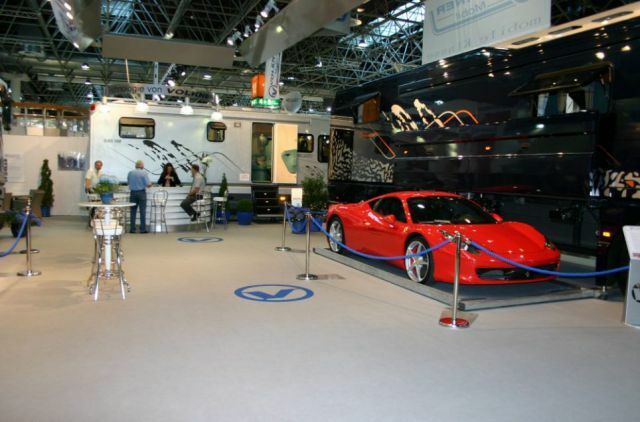 The prices for the super-van range from $1.2 million to $2 million.